After an afternoon of presentations, we were organised into groups for an field trip around Seoksu Market and Anyang. Today is Korea Liberation day, all around the Market shops displayed flags celebrating Korea’s independence. 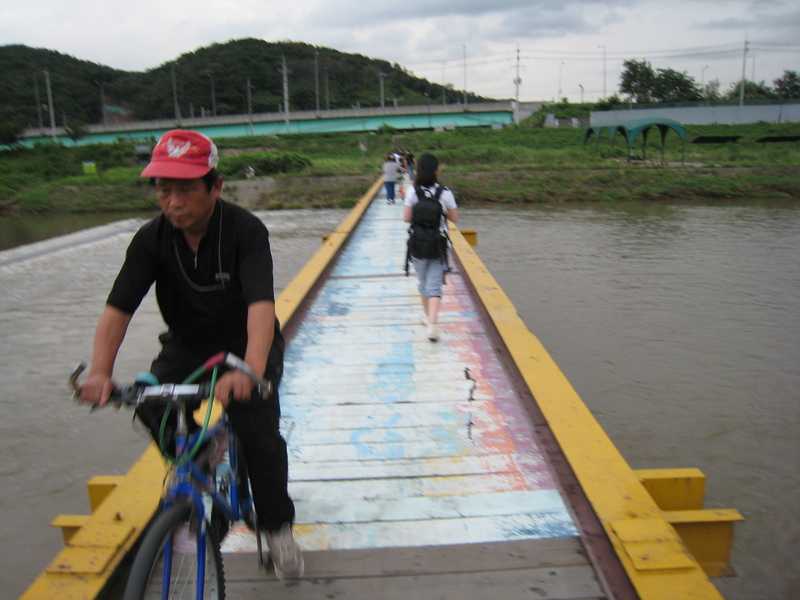 We walked north, down stream along the Anyang river towards Seoul. 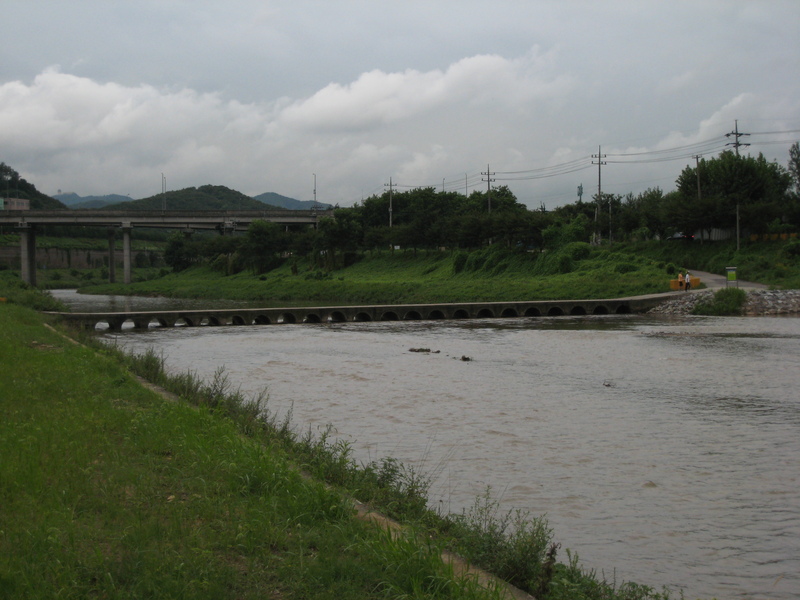 Jayeon explained to me that the depth of the water can change quite drastically from time to time. There were lots of dragon flies along the river and from a short distance lots of cicadas, occasionally fish jumps in the water. What a transformation. 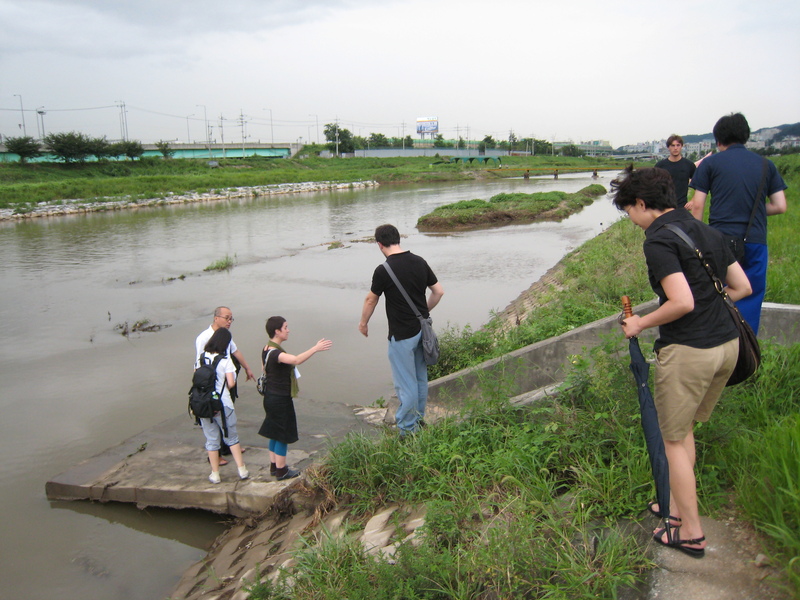 The water in this river was once as black as coffee and smelled putrid from industrial waste and sewege. But now the river seems to be recovering. Since my arrival here, I have seen kids playing in its water. 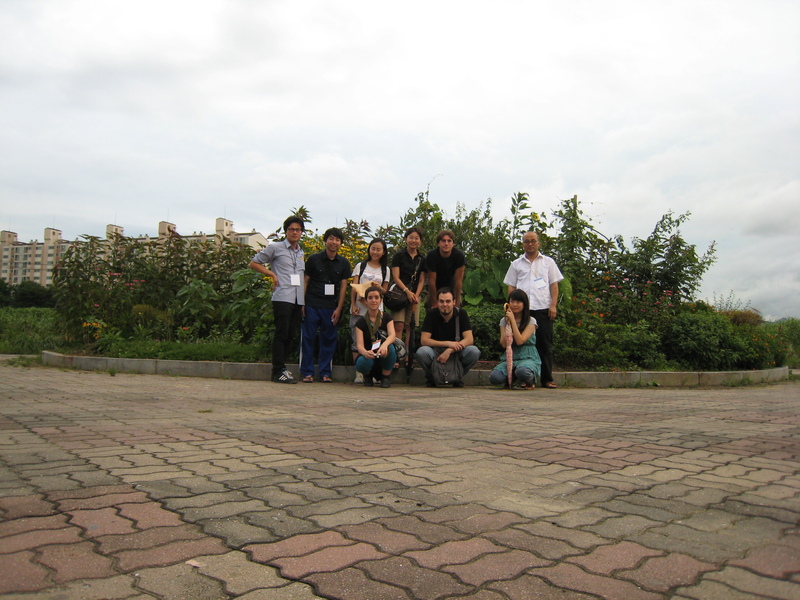 At the end of our walk we reached a circular garden marking the meeting point of 3 cities; Anyang, Seoul and Gwanmyung. 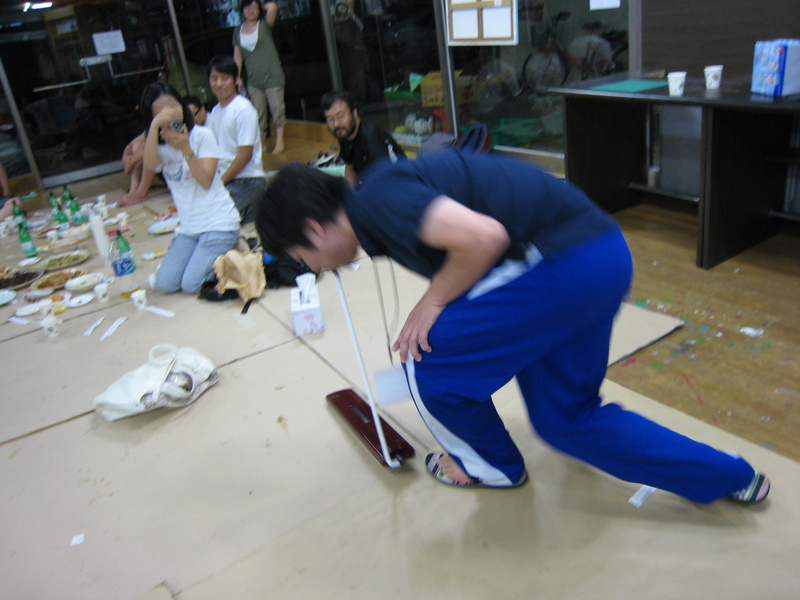 At night after dinner, Japanese artist Yamanaka Camera did an impromptu performance with his melodica.